Camp Amigo is all about exploring nature, ourselves, and God in a fun and exciting environment. At Amigo, you can find new ways to tune in to God's voice and learn how to know God better. Our dedicated and fun-loving staff have a passion for following Jesus, spending time with kids, and enjoying the outdoors. We always have a good camper to staff ratio (usually 3 campers to 1 staff) and are excited to offer a variety of fun and entertaining camps throughout the summer! Provides a wonderful opportunity for campers who want to spend their evenings and nights at home but join in on the camp experience. 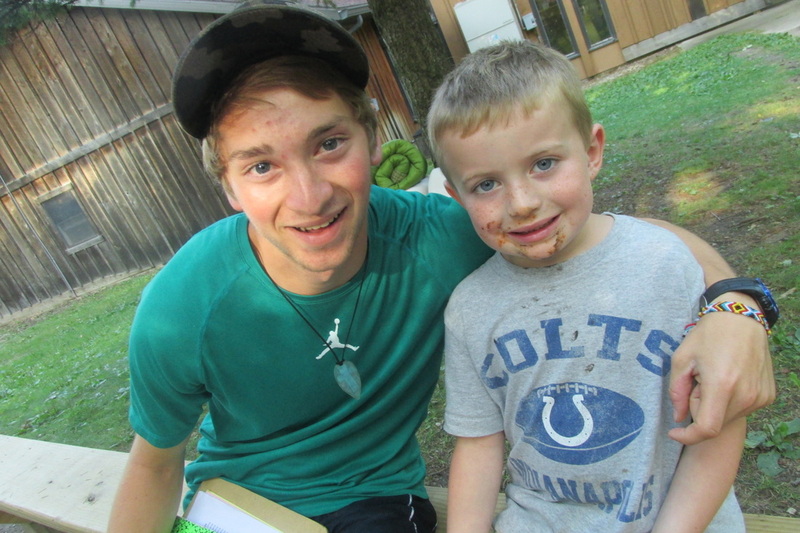 Ages 8-13 are integrated into a cabin group to bond with overnight campers and share in the same fun camp activities. Ages 4-7 have their own program referred to as the Explorers. Explorers follow their own schedule designed and lead by Amigo’s Day Camp Director. Runs Monday thru Friday each week. Our traditional five-day camps offer the opportunity to make new friends, explore the outdoors and challenge yourself in a variety of ways. Morning and evening worship times allow you to learn more about God and yourself in a positive and exciting environment. We run three weeks of Discovery and Encounter Camp. These camps are run simultaneously but have separate schedules designed specifically for each age group. Combining traditional camp experiences with special activities - whether survivor skills, sports or arts. We will create a great week of camp – based on what you want to do. Spend time in the outdoors with current friends, tent camp, relax, hang out and make new friends. We’ll learn together in an environment away from all that can distract us. There are now two weeks of High School Camp to chose from! Our two-night camp provides an excellent opportunity to try out camp and begin the summer camp tradition. Includes many exciting elements included in our full-week camps, but geared towards younger campers. Experience Camp will start on a Wednesday and end on a Friday this year: June 19-21. An amazing two-day camp adventure for adult and children pairs. A great way to get to know camp for the first time. Explore creation with a parent, grandparent, aunt or uncle along with Amigo summer staff guiding the way. First Camp will start on a Sunday and end on a Monday this year: June 16-17.